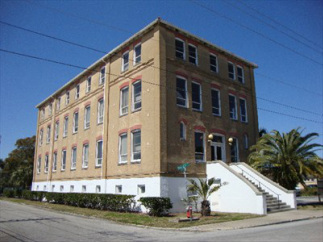 A series of missteps have endangered plans by the purchasers of the historic YMCA building in St. Petersburg to create a music attraction and hotel at the site, and now the owners are seeking 12 wealthy donors to contribute $100,000 each. 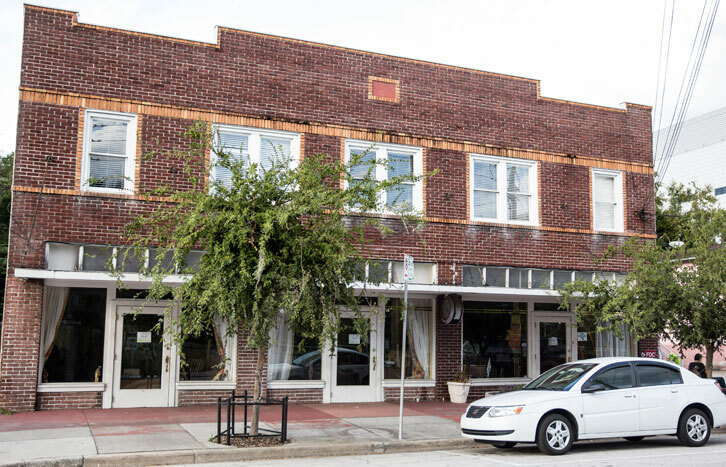 Otherwise, the purchasers could lose their contract and the 87-year-old Mediterranean Revival-style building could be demolished. 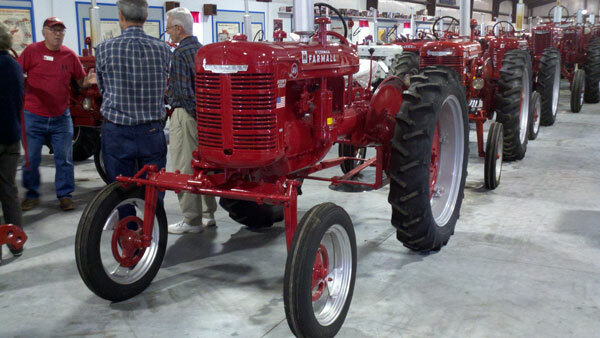 Retired construction worker Stewart Paquette never farmed or owned a tractor when he moved to Leesburg. But somehow he was bitten by a tractor collecting bug that has grown into a 140-piece museum. It needs some work, but the city of Miami Gardens plans to use its oldest building -- the 1926 Enrico Dairy Farmhouse -- as a mini-museum to showcase documents and photos from the city's 2003 incorporation campaign. It was built by Italian immigrant Sam Enrico, who kept cows on the property and sold milk door-to-door in the neighborhood. Read the story in the Miami Herald: Miami Gardens farmhouse played a pivotal role in Miami's early dairy history. Four times a week, Candyce Tiffany Lewis welcomes passengers aboard the Historic Trolley Tours for a make-believe tour of 1940s West Palm Beach. The 45-minute tours depart from the Richard & Pat Johnson History Museum. Lewis, who portrays character Evelyn Chapman, works from a detailed script and aims to convince passengers they really are in the 1940s. A newly unveiled historical marker traces the history of the South Lake Worth Inlet, commonly known as Boynton Inlet, and its role in shaping the economy of the Lake Worth area. Read the story in the Palm Beach Post: Unveiled marker tells history of Boynton's inlet. 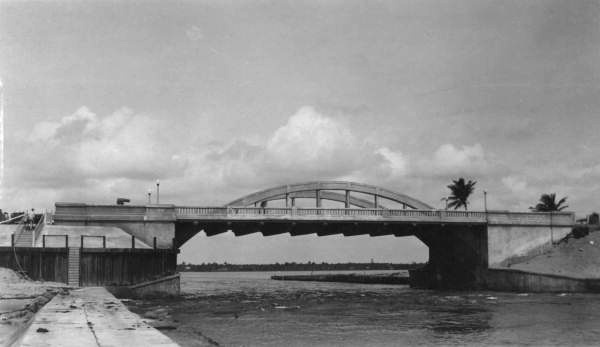 View of the Boynton Inlet bridge on S.R. A1A in Lake Worth. Date unknown. 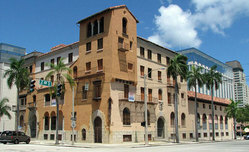 State Archives of Florida, Florida Memory. Spring training baseball was first played in St. Pete when the St. Louis Browns swung their bats in a place called Coffee Pot Park. 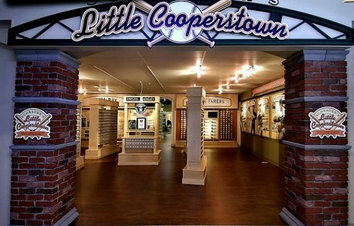 Other teams followed, and the St. Petersburg Museum of History is celebrating with the new Schrader's Little Cooperstown exhibit, featuring Dennis Schrader's collection of autographed baseballs. It's the largest such collection in the world, according to the Guinness Book of World Records. 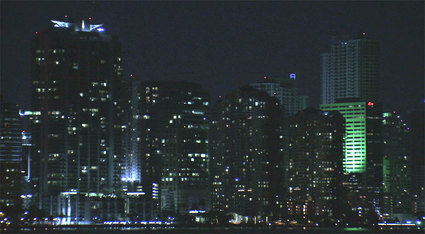 Read the story and watch the video at wfla.com's site. 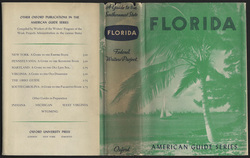 In the 1930s, the federal Works Progress Administration employed struggling authors to write guide books to various states. In 2011, Cathy Salustri decided to trace routes outlined in one of the guides, Florida: A Guide to the Southernmost State, published in 1937. She described her journey in her thesis for her Master of Liberal Arts degree from the University of South Florida's College of Arts and Sciences and hopes to publish a book in December. She recently discussed her adventure in a talk at Heritage Village in Largo. 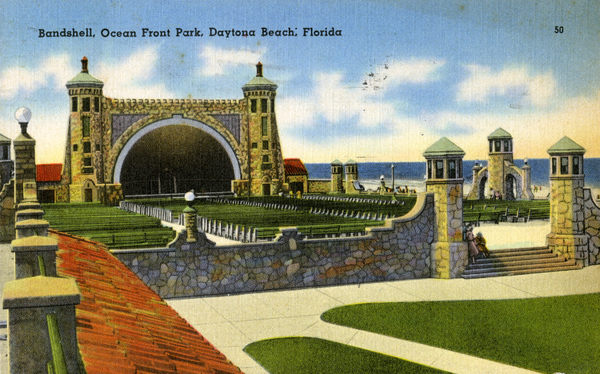 Aside from discovering historic landmarks invisible from the interstate highways, her travels taught her that Florida still offers the "ultimate road trip" across a "patchwork blanket" of every culture in the U.S. 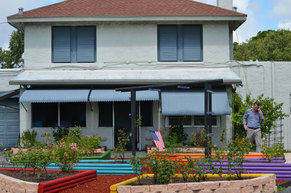 The most prominent African-American museum in Central Florida is struggling to stay afloat amid declines in donations to non-profit organizations. But some observers say the Wells' Built Museum needs to do a better job organizing its collections and soliciting support from neighboring colleges. “Hoppin’ Rattlesnakes: Oral Histories of Beach Racing in Volusia County, 1903-1958” is premiering on Wednesday. 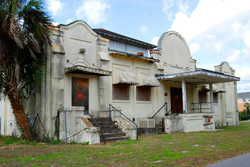 The film was produced by the Halifax Historical Society and directed by Central Florida filmmaker Eric Breitenbach. Read the story in The Daytona Beach News-Journal. FAMU professor David H. Jackson Jr. received the American Historical Association's 2013 Equity Award at the association's annual meeting in Washington D.C. The award recognizes individuals or institutions that have achieved excellence in recruiting and retaining underrepresented racial and ethnic groups in the historical profession. Read the story from WTXL-TV. A National Register of Historic Places spot for Cypress Gardens could lead to restoration of the historic Florida Pool, now closed to the public. Read the story in the Lakeland Ledger.